Even though I have run a Full Marathon, over 10 Half Marathons and countless other races I still get butterflies when I get to a starting line of a race- whether it be a 5k or a 10-miler. As my running has blossomed over the years I have found that the more prepared (mentally and physically) I am for a race, the less nervous I am for race day. One main example that sticks out to me is the Richmond Marathon I completed in November of 2014. My BRF and I did everything we were supposed to do- picked a training plan and actually stuck to it, ate healthy, rested, cross trained, dressed perfectly for the very chilly temps and when we reached the starting line to begin our 26.2 mile journey around a new and unfamiliar city of Richmond I was not nervous at all! I contribute this great success simply to the fact that I was READY! This suggestion has two parts- first be sure you are picking a realistic plan. I can remember looking at Half-marathon plans last year to help me get to a sub-2:15 finish time and the plan called for multiple 16 mile runs. I thought that was crazy and knew I would not be getting any runs in of that distance in the cold January and February Months. I shortly abandoned that plan and found something more realistic. The second part is to make it work for you. When selecting my Marathon plan my BRF also planned to use the exact plan. This was great so we would both be running the same long distance runs. We wanted to be on the same page through our training cycle so sat down and scheduled the long weekend runs into our calendar and switched a few of them around because we knew we had other things going on. We took the plan and made it work for us. If you use the Runkeeper App they have really awesome free training plans available for you to join! The best part is that your phone will remind you when and how far you need to go! It is great for accountability and even gives you little helpful hints and motivational quotes along the way! Get others to join you! Are you signed up for a fun race? Spread the love and get your friends, family and co-workers to sign up as well! Once you get them committed you will have instant training partners- another great way to get race ready! I am signed up and looking forward to all 3 of my fall half marathons but one in particular has me more excited then ever- The Annapolis Running Classic. The past two times I have run this race I have had my friends and their significant others there to make this a fun racecation with lots of celebrating and general overall awesomeness. This year not only will a bunch of us crazy mother runners be there I am an ambassador so you can save 10% if you use KJREF15 when you sign up! How cool is that? Anyway running with someone else is way better- especially when you have to do 10 miles or maybe even more. Not only will the miles go by quicker but you also have that accountability factor that is pretty much necessary if you are like me and can easily be lost on lazy street! This for me is the hardest thing to do when getting ready for a race. As much as I would like to say I eat healthy 100% of the time I do not. I love a big cheeseburger and desserts may be my best friend. When I am training for a race I try and keep the really bad foods to a minimum. This being said I did try and fuel my body with the appropriate foods for what training runs I did have coming up. Same goes for sleep- if you know you have to run 15 miles on Saturday- do not try and rage and pull an all-nighter Friday night. You want to set yourself up for success when it comes to your training runs so do yourself a favor and sleep!!!! As you complete each training run be proud of the hard work and dedication you have committed to. As my BRF and I completed each of our “Longest Runs Ever” we celebrated and relished in the accomplishment as we got closer to the marathon date. If you are looking for other tips and tricks to use to get ready for your fall races be sure to check out what others are saying at www.fitapproach.com! 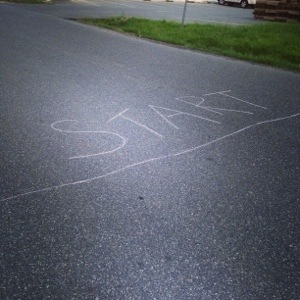 How do you get ready for the starting line? 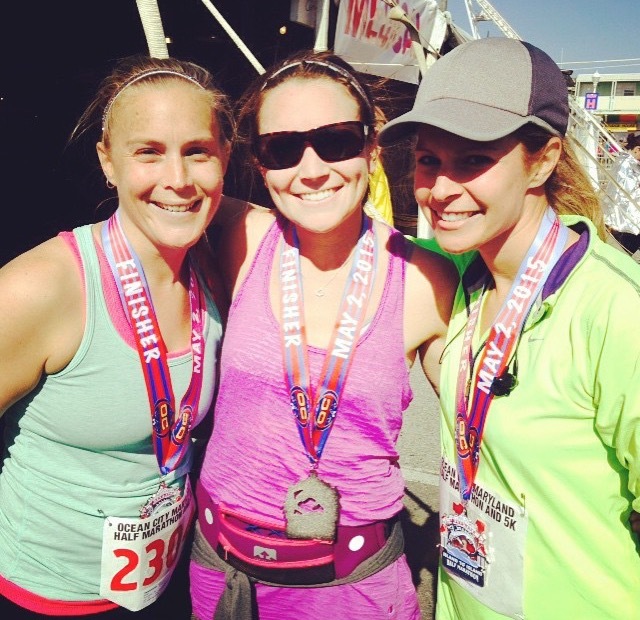 Are you running any fun fall races? Next Post Time to Get Moving: SweatPink #1MillionMinutes or more! I always try to hone in on nutrition and rest (rest days and sleep at night) when I’m in the midst of a training cycle. 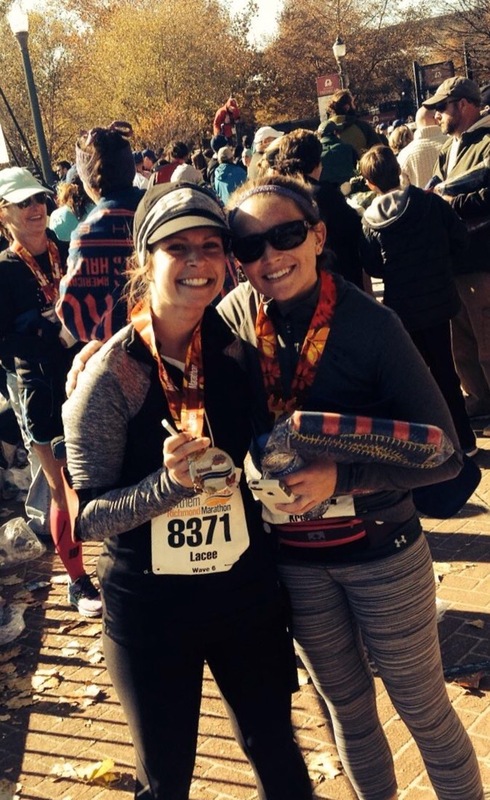 I’m running NYCM in November and start training in one week – I can’t wait! Great post with some great tips! What an exciting race to train for!! I have been struggling with adding in cross training this year. It seems I can find time for runs but getting to the gym has been a struggle!!! Ugh I’m so bad with cross training but I have some in apartment 30 minute DVDs that I do…. very 80s of me but they work! Tell me about it! I was eating terrible before my last half and I felt so slow and sluggish! !